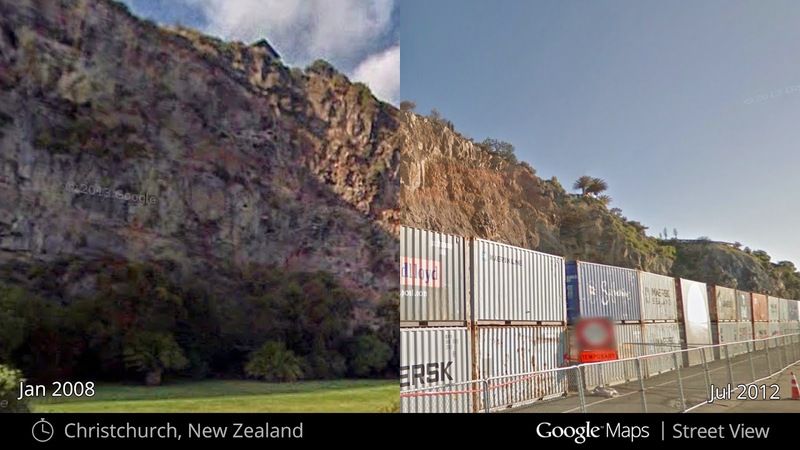 For many parts of Christchurch, Google’s Street View cars have gathered street-level imagery since the February 2011 earthquake, which means that you can now see how different parts of Christchurch looked before and after. Since the earthquake, buildings, roads, and natural places have changed—in some cases dramatically. This new imagery helps provide a digital archive of Christchurch that allows us to remember the past and document the ongoing regeneration of the the city. Street View Historical Imagery appears on the new Google Maps as a small clock in the top left hand corner of each Street View image that has historical Street View imagery. You can click on it and, using a slider, move back and forth between different dates. 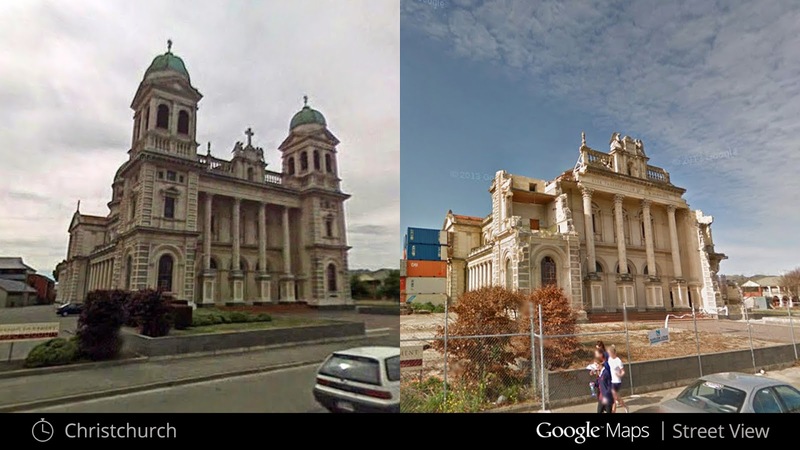 We will continue to add new images to historical Street View imagery over time, to help provide a more complete resource for the city. You can help us create a more complete digital mirror of Christchurch by uploading your own images using Google’s Photosphere feature. You can also update any outdated information by clicking on ‘Report a Problem’ on Google Maps - or by simply shaking your smartphone when you’re outside a point you want to update. We’ve had many requests for these images since the earthquake and we’re so glad that we can now make them available. We hope that these powerful images are useful to help people remember, plan, and rebuild.